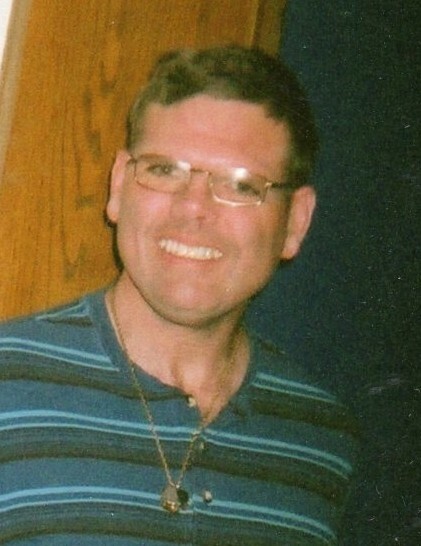 Obituary for Edward J. McClain | Sorge Funeral Home Inc.
Edward McClain, 56, of Hollidaysburg, cherished son and brother, died on Sunday, March 17, with his family by his side at Select Specialty Hospital, Johnstown following an extended illness. He was born in Altoona, son of Amelia (Drass) McClain and the late Edward McClain, Sr. Surviving are his mother and sister Theresa and his extended Drass family of many aunts, uncles and cousins, along with his many friends including special friend, Mayor Joe Dodson. Ed grew up in Hollidaysburg and was a 1985 graduate of Hollidaysburg High School. He was proud to have been designated Honorary Mayor of Hollidaysburg. He was a lifelong parishioner of Saint Michael’s Church where he had proudly served as an altar boy, and was a member of Saint Michael’s Men’s Club. He was employed at Riverside and Martin’s grocery stores for many years. Ed was the ultimate sports fan and could readily discuss games, scores and stats of just about any team but he especially enjoyed watching NASCAR, the Steelers and Penn State Football. Ed also enjoyed travelling to exotic destinations with his mother, sister and cousin Barbara Kelley. Family gatherings were a highlight of Ed’s life and he always looked forward to his mother’s annual Christmas parties and Thanksgiving dinners. He was known for his warm smile and his kind and loving spirit. Friends will be received from 4:00 to 8:00 p.m. Wednesday, March 20, 2019, at Sorge Funeral Home Inc., Hollidaysburg, where vigil service will be held. A funeral mass for Ed will be celebrated on 10:00 a.m. Thursday, March 21, 2019 at St. Michael Catholic Church, Hollidaysburg, the Monsignor Stanley Carson and Rev. Clement Gardner con-celebrating. Committal will be at Greenlawn Cemetery, Hollidaysburg.